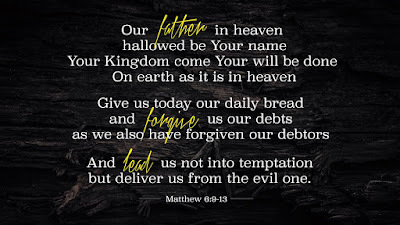 Over the next several weeks, we’re going to experientially explore how we can utilize the Lord’s Prayer (or perhaps better named, The Disciple’s Prayer) to connect with God. The following is a potential guide for this week. Take a minute and simple close your eyes and breath. Take a couple of deep breaths. Relax. 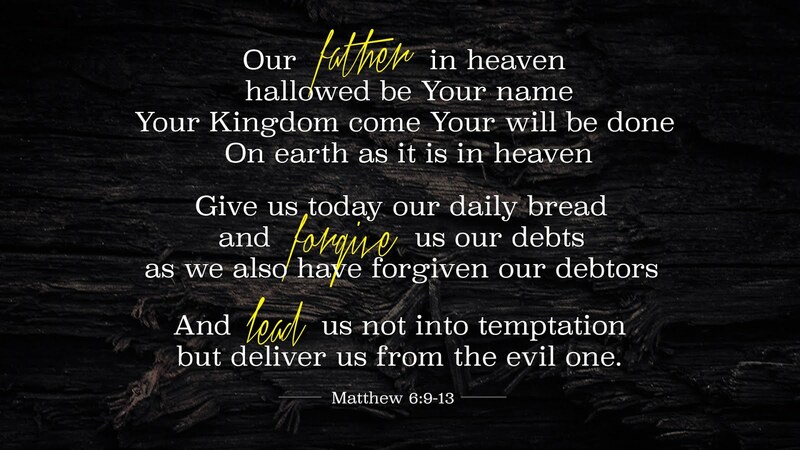 Slowly read through the Lord’s Prayer. As you do so, take note of what sticks out to you or grabs your attention. Slowly read through the prayer a second time. Only this time, do it out loud. Did you notice anything different that time? What was it like to hear yourself saying the words? One more time, in silence, slowly read through the passage. Take note of what sticks out to you. Take the portion, line, phrase or word that sticks out and spend a few minutes talking with God. Do this each day this week. You may find it helpful to write down in a notebook the word, line or phrase that captures your attention. Each day, do this with fresh anticipation to meet with God. People often experience God emphasizing different words and phrases to them each day. 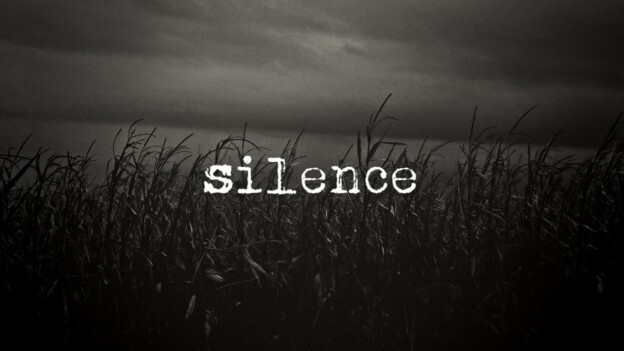 ...The first step in being able to listen is to be silent. 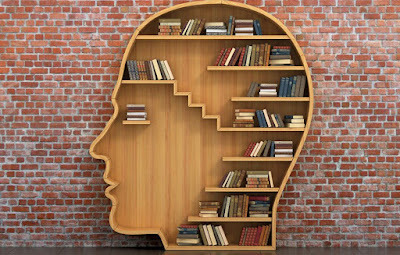 In my personal library, I have over a hundred and fifty books on prayer. These books range from how to pray like the Desert Fathers of the Third Century (who fled from the cities to the desert in order to meet with God in solitude and silence) to how to influence suburban America by prayer walking. Books that teach about prayers of petition, praise, intercession, not to mention praying for friends, family members and the needs of others. 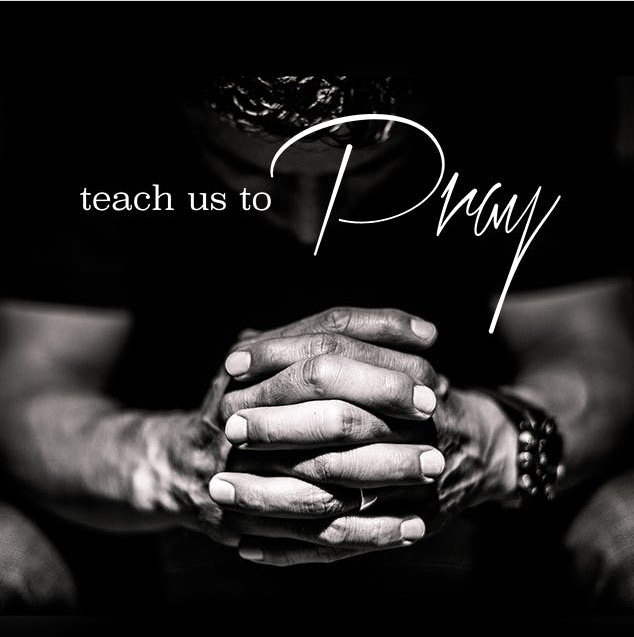 Others portray prayers of examination, reflection and praying through the Bible. You get the idea, a lot of books about prayer. Did I mention I really like books? Some of these books have been instrumental in challenging my life of prayer with God over the years. But, if I’m honest, when I think about prayer, there’s an image that out weighs all these pages of the sages. It’s the image I have of a mentor of mine during my late teens, early twenties. There he was sitting in a chair - early in the morning – every morning. Praying. At times, words were flowing or passages of Scripture being quoted. 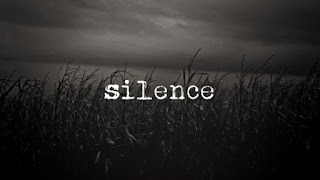 At other times, silence, not a word was uttered, rather simply being present before God. I have images of him driving to and from work, praying as he drove. He would pray for me and others, as well as upcoming Bible studies, ministry endeavors, and the like. Silence from The Gravity Center on Vimeo. When you get in your car, what’s one of the first things you do? If you’re like most people, you turn on some music. But, have you ever stopped and wondered why? Everyday, millions, while at home have the television on. No one is watching, but it’s on nonetheless. Why is this? In surveys, the number one reason people say they keep the television on in their homes is simply to generate some kind of noise. “I just like having something going on the background,” people say. But, why is this? The God of the Bible is a relational God. He is a communicative Being. From the Garden of Eden in Genesis to the very last words of the Book of Revelation, God interacts and communicates to His people. God walked with Adam in the cool of the day. He spoke to Abraham in a vision. Jacob encountered God in a late night wrestling match and God spoke to Joseph through dreams. For Moses, a burning bush, lightening, earthquakes, clouds, fire, tablets and snakes all became God’s instruments of communication. God spoke to Balaam through a donkey and to Peter through a rooster. Elijah found God as a gentle whisper in sheer silence and David as he lifted his voice in song. Jeremiah understood God through an almond tree. Isaiah saw a vision of heaven and a coal touching his mouth, while Daniel simply received a message from God as a mental picture. At other times, God got creative and imaginative. For over a year, the prophet Ezekiel laid on his side as a message from God to the people of Israel. On another occasion, Ezekiel took a clay tablet, drew on it and then destroyed it in front of the people and simply said, “Yup, that’s what God says…” Another prophet, Hosea’s, very life circumstances became a prophetic parable, a dramatic representation of the heart of God for His people. Scripture says that God also had some prophets say nothing verbally, rather they acted out God’s message like a mime. (You may have to dig a little to find that one). Jesus Himself used seeds, birds, flowers, children, kings, fish, nets, coins, hillsides and stories to communicate to the people of God. Jesus very life was a 4D display of God in the flesh (see John 1:1, 14, 18). How did God communicate to humanity throughout Scripture? He utilized every possible means. This is the age-old question. Throughout the ages, philosophers, theologians, poets, psychologists, even historians have all made attempts to answer this question. Interestingly, of all the creatures of creation, humans are the only one’s who say, “Who Am I…?” The very one’s who were created with the greatest significance in the image of God seem to somewhere along the way have forgotten who they are. Henri Nouwen, in the book Spiritual Direction, points out that many of us are now prone to answer this question and define ourselves in one or more of the following ways. “I am what I do.” When I do good things and have a little success in life, I feel good about myself. But when I fail, I start getting depressed. To define yourself based on what you do is to live on an emotional and spiritual roller coaster. Isn’t this largely what one is doing when they experience what is commonly called a midlife crisis? They reach an age or season in life and they look around while asking themselves, “what have I done with my life…?” Then, based on what we’ve perceive we’ve done, we calculate how we’re doing. Our evaluations are often nothing more than the byproduct of how we faired when we compared what we’ve “done” to our peers and those around us. As we get older and our body begins to deteriorate, rendering us unable to physically do much, all we’ll be able to say is, “Look at what I did in my life… look, look, look, look, I did something good…” Our value, worth, significance and identity will be nothing more than a distant memory and perhaps a faded plaque on the wall. Another way we are prone to define ourselves is, “I am what other people say about me.” This is tricky and often subconscious. But, we have to admit, we often expend a tremendous about of head-space worrying (or at least thinking and imagining) what other people are saying about us (or at least what they think about us). Further, they don’t even have to say it or actually think it, but if we think they think it – it can control us just the same. Often, it’s not so much what other people think about you that is the problem; it’s what YOU THINK – THEY THINK. Don’t be mistaken; what people say about you has great power. When people speak well of you, you can walk around quite freely. But when somebody starts saying negative things about you, you might start feeling sad. When someone talks against you, it can cut deep into your heart. Or, we might say, “I am what I have.” There’s a human tendency to let our things and our stuff determine our identity. The square footage of our homes, to the model of our cars, to the little designs on our hip pockets can all subconsciously serve as the building blocks of how we define ourselves in the eyes of others. How much energy goes into defining yourself by deciding “I am what I do,” “I am what others say about me,” or “I am what I have”? You are not, fundamentally, what you do, what other people say about you, or what you have. You are loved by God.